Are you living in a house with a small footprint? Are you having problems on how you can fit everything inside? Well, worry not. We have the solution for you. These days, there are many small homes that have all the functions needed to give the owners a comfortable life. This shows us that no matter how small the floor area is, it can still work well as a home. Most small residences make use of transforming furniture and other creative storage solutions in order to maximize the usage of the space. Isn’t this a great idea in order to live comfortably in a small house? Now, this is what you will see today. A small apartment in Sydney, Australia made use of creative storage solutions to make sure that everything will fit into the 236 square feet (22 sq. meters) home. 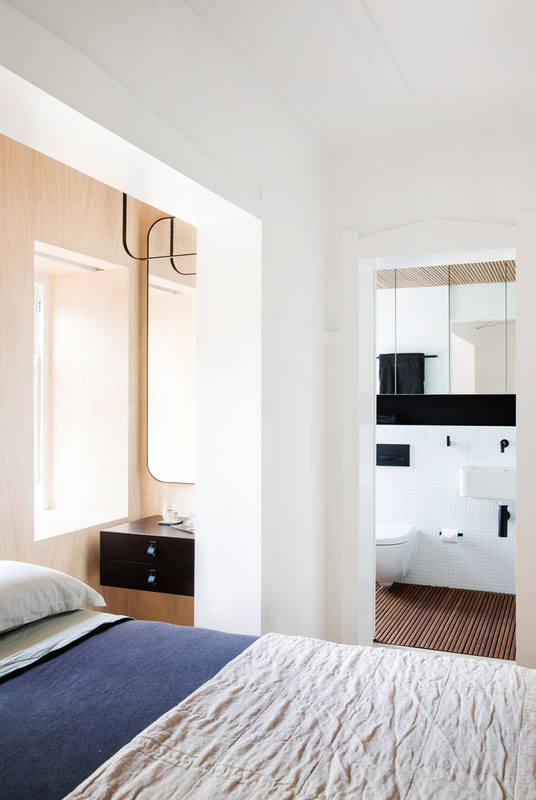 Architect Prineas design the apartment for a short-stay boutique accommodation. Here are images of the tiny apartment. Unique feature: The apartment has a small floor area and the designers find ways to add storage areas in the home in order to maximize the floor space. 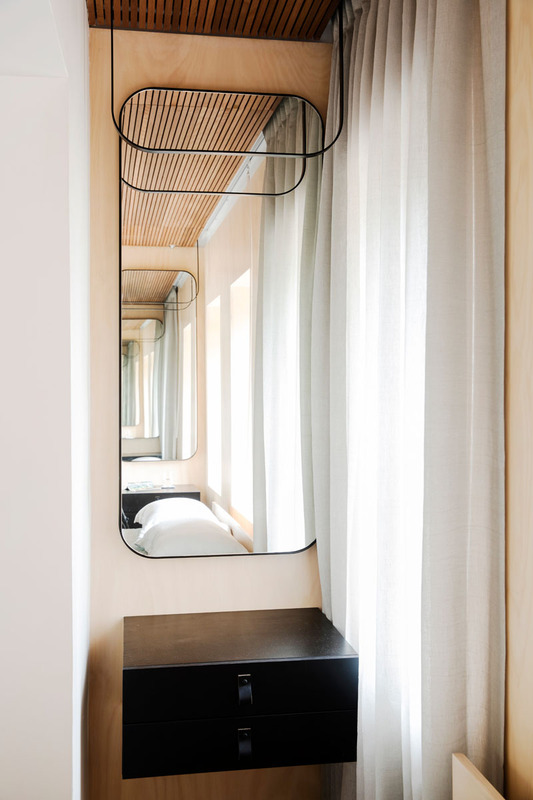 Architect Prineas have designed this tiny apartment in Sydney, Australia, that fits everything into an interior that measures in at 236 square feet (22m2), and is designed as short-stay boutique accommodation. 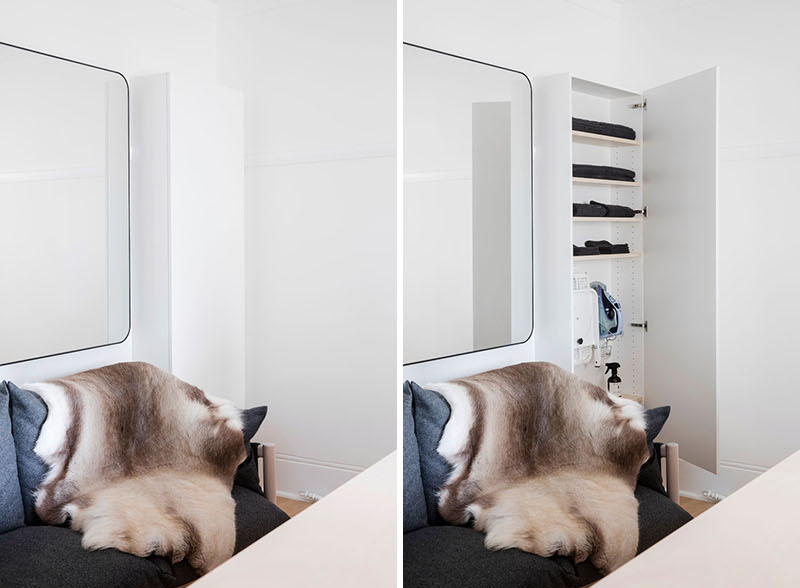 Opposite the bed, there’s a mirror on the wall, again helping to make the room feel larger and reflect light, and off to the side of the couch is a vertical cabinet that houses a fold-out ironing board. Stepping inside the apartment, you walk straight into the small kitchen. 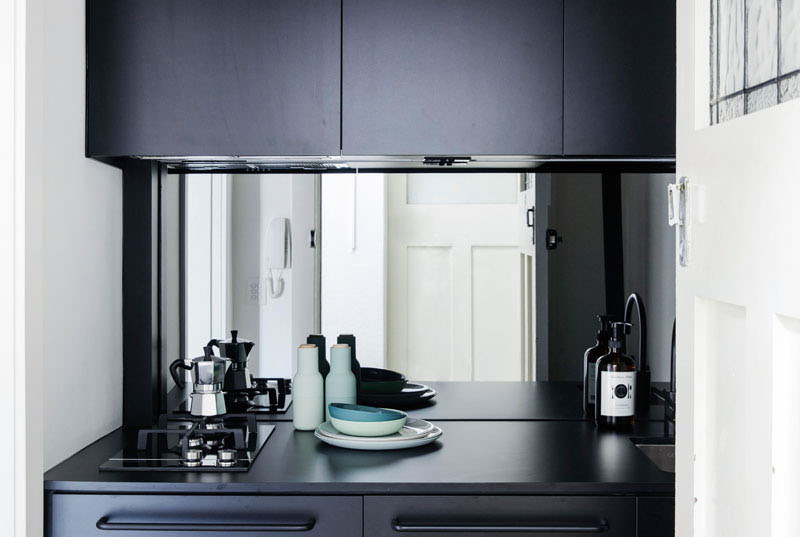 The matte black cabinets stand out, and a mirrored backsplash helps to make the space appear larger. 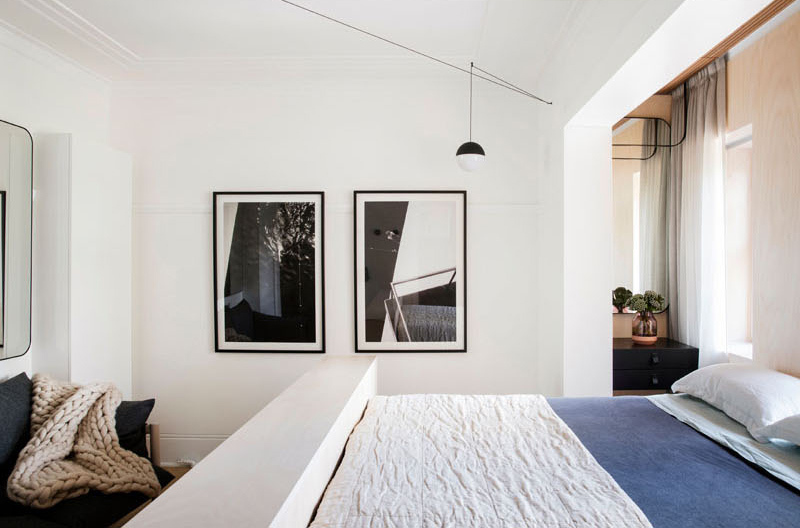 As the apartment has original Art Deco touches, some walls were left white, while others are made from a lime-washed plywood that adds a touch of warmth to the space. Another look at the bedroom wherein you can see the other parts of the apartment like the way that leads to the bathroom and the couch near the foot of the bed. 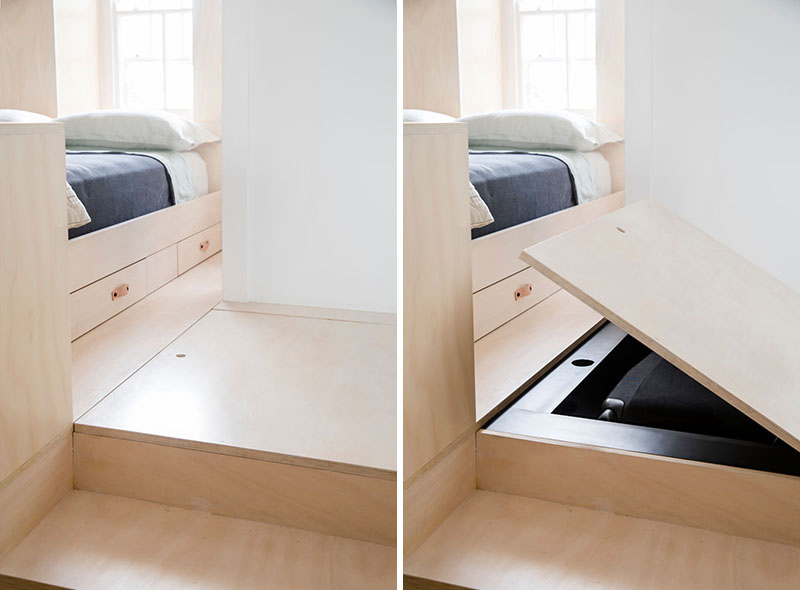 The custom platform that the bed sits on also includes additional storage. Under the bed, there are multiple pull-out drawers for housing additional bedding and pillows. At the top of the steps, there’s a larger hidden storage space, perfect for a small suitcase. The main room is home to both the living area and the sleeping area. 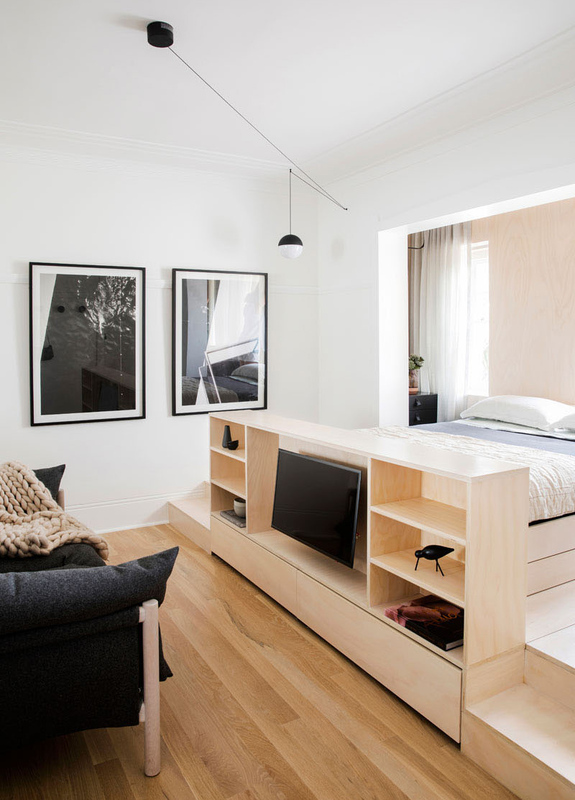 A custom designed platform includes an entertainment unit and open shelving at the end of the bed. Beside the sleeping area is the bathroom. 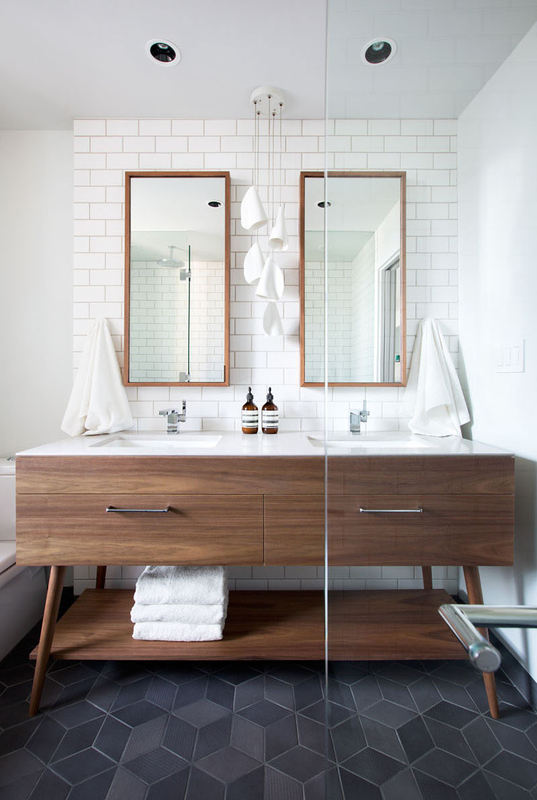 A timber slat floor and ceiling introduces texture and tactility, while the white tiles and large mirror brighten the space. 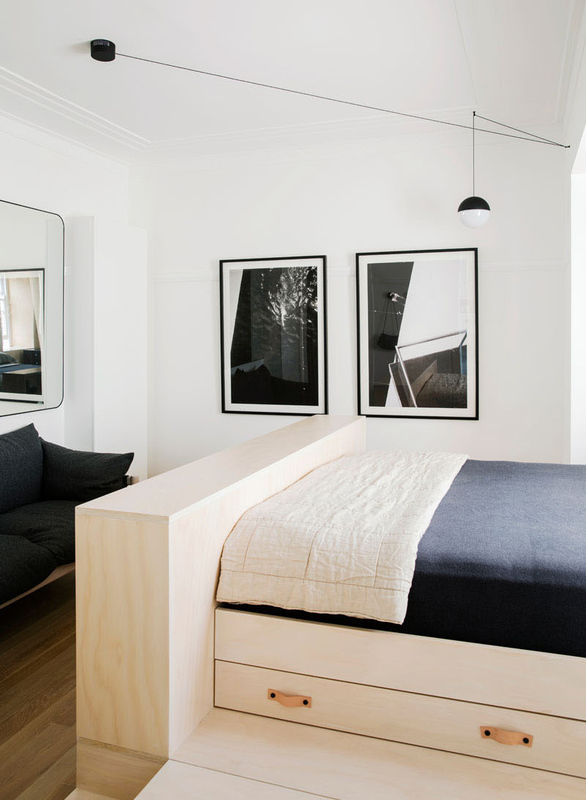 Beside each side of the bed are floating black cabinets and curved mirrors, a throw-back to the art-deco era. To the side of the vanity is the walk-in shower with a glass surround. 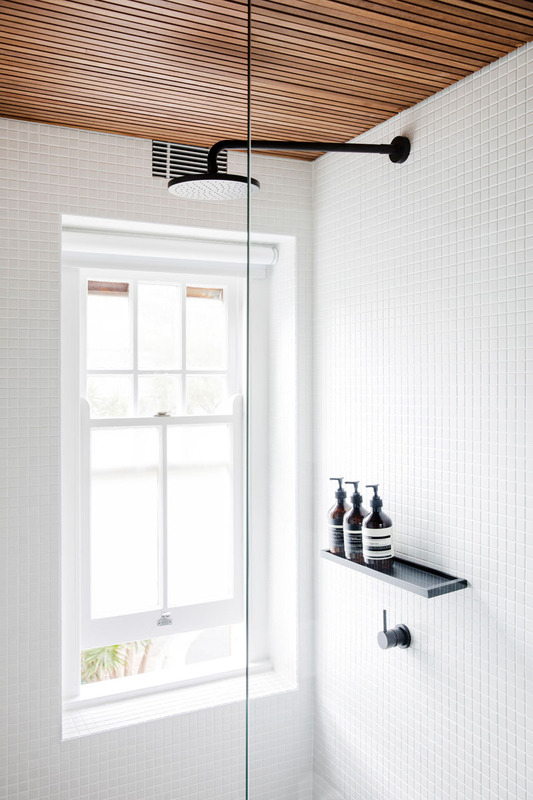 The white tiles and wood elements continue throughout the bathroom, and a pull-down blind provides privacy without blocking out too much light from the window. 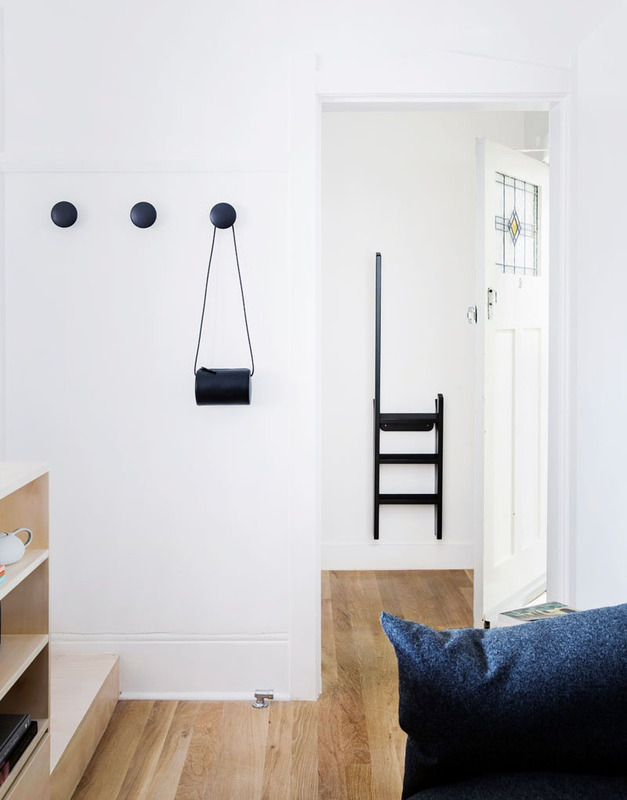 Architect Prineas designed this small apartment in Australia. Aside from the storage spaces added into it, the apartment also has a beautiful modern design which makes it even more comfortable. You can see that even the bathrooms are well-designed no matter how small the area. It is also nice that they added art deco items in the interior which has a great impact to the home’s appeal.